Beginning January 1, 2007, all 16 year old teens applying for a Class D driver’s license must complete a driver education course approved by the Department of Driver Services and complete a total of 40 hours supervised driving, 6 hours of which must be at night, with a parent or guardian’s sworn verification that these requirement have been met. Any Georgia resident who has not completed an approved driver education course must wait until they are at least 17 years old to be eligible for a Class D driver’s license. 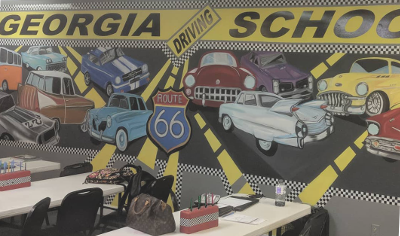 At Georgia Driving School we issue at certificate of completion at the end of each course. If we have provided you with 30 hours of classroom and 6 hours of behind the wheel you will be eligible for a reduction in insurance premiums. You will also be eligible for a $150.00 state tax deduction. This savings could pay for the drivers education course with in the first year. If you choose to take only the classroom portion the cost is $150.00. This means with your tax deduction of $150.00 the course is FREE! Special Deal: For each friend your Teen brings they will Earn $20. Drivers Ed Grant Scholarship Program: We are now an AUTHORIZED PROVIDER of the Georgia Driver’s Ed Grant Scholarship program. When: Every month – 4 Day Course held over 2 weekends.